Many people around the world suffer from lower back pain, but when that pain starts to shoot down one of your legs and feel like an unbearable cramp, it may be sciatica. While most cases of sciatica don’t have to be drastically treated with invasive surgery, there are cases where it can be quite severe. A regular yoga practice, such as a gentle flow, Hatha, restorative or yin class, is a great way to ease symptoms of sciatica and help treat it. 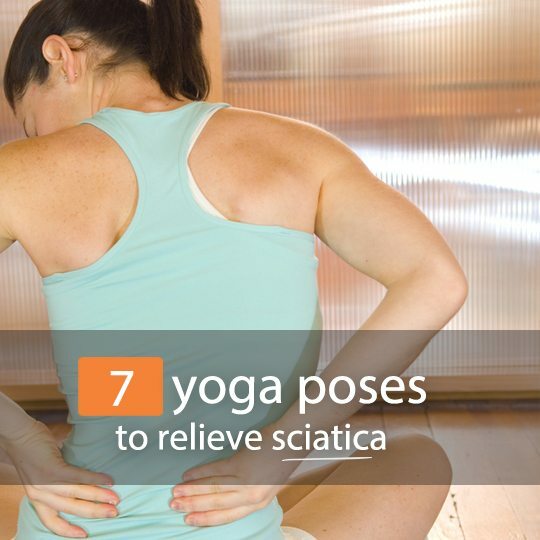 And there are some yoga poses that are particularly helpful in relieving sciatic pain. Sciatica is the name given to pain in the back and/or leg caused by a problem with the sciatic nerve. The large nerve runs from the lower back down the back of each leg. Sciatica can occur from an injury or pressure being put on the sciatic nerve, and the pain can spread from the lower back to the hip, glute and leg. While it may need surgery in some cases, up to 90% of people recover without the need for an operation. The most common symptom is pain that can extend from the lower back through the hip, glute and leg of one side of the body. It may feel like a particularly bad leg cramp, and can become an excruciating shooting pain that makes either standing or sitting almost intolerable. Other symptoms include numbness, weakness or tingling in the leg. Sciatica symptoms can appear suddenly or develop gradually, and last for days or weeks. Pain can become worse when you sit, cough or sneeze. There are a few different conditions that may cause sciatica, including a ‘pinched nerve’. This may affect one or more of your lower spinal nerves, inside or outside of the spinal canal as it passes into the leg. One of the most common causes of sciatica is a herniated or slipped disc, which can cause pressure on the nerves that run down the spinal column. This can occur from injury or weakness, causing the inner portion of the disc to protrude through the outer ring. Piriformis syndrome is another common cause of sciatica. It develops when the piriformis muscle tightens or spasms, putting pressure on the sciatic nerve. The piriformis muscle is a small muscle found deep inside the buttocks. It connects the lower spine to the upper thighbone and runs over the sciatic nerve. This is a more common cause of sciatica in women. 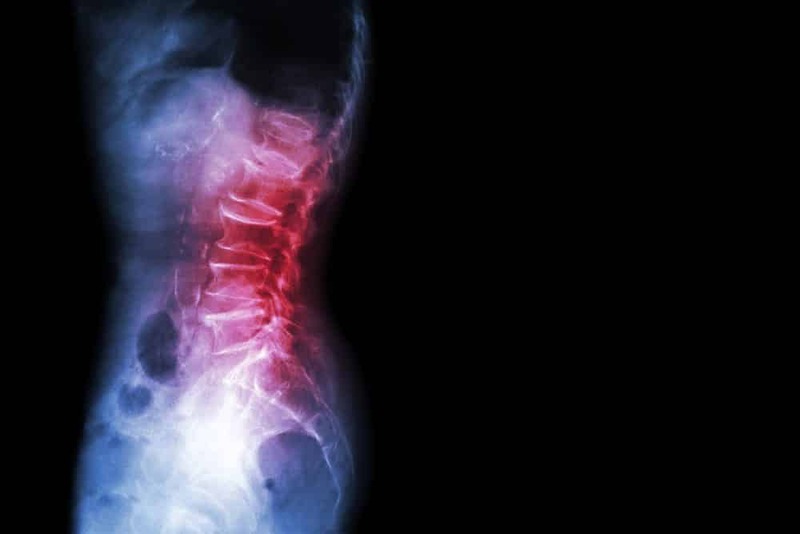 Spinal stenosis is a condition resulting from a narrowing of the spinal canal putting pressure on the nerves, which can also lead to symptoms of sciatica. And spondylolisthesis, caused by one vertebra slipping out of line with the one above it, is another potential cause. The slippage leads to a narrowing of the opening where the nerve exits. Sciatica Or Some Other Back Pain? Back pain is extremely common around the world, with up to 85% of Americans experiencing some form or another in their lifetime. However, back pain is not always necessarily to do with the sciatic nerve. Often it is the result of straining muscles in the lower back. The main sign that your lower back pain might be sciatica is if it shoots down the leg and possibly even into the foot. It can feel like a particularly bad leg cramp that can last for days. Most sciatica can be treated without invasive surgery, with the aim of treatment being to decrease pain and increase mobility. That can include physical therapy and pain and inflammation medication. In more severe cases, doctors may suggest an injection of anti-inflammatory medicine, which resembles cortisone, into the lower back to reduce swelling of the nerve roots. If none of those methods are successful, surgery may be needed if symptoms are progressing and the patient is in severe pain. Surgical options can include microdiscectomy, which removes fragments of a herniated disc. Or laminectomy, which involves removing the tissue that is causing pressure on the sciatic nerve and the bone that curves around and covers the spinal cord (lamina). Alternative methods of treatment, including yoga and acupuncture, have also proven to be beneficial in relieving sciatic pain. Pain and tingling down the outside of your calf muscle to the space between your little and fourth toe. Discomfort on your heels and toes when walking. A burning sensation in the back of the thigh and calf down to the heel, and stiffness in the legs. Pain and discomfort from sitting. Pain in the buttocks after exercising or sitting for a long period. Twisting the spine is a great way to relieve stiffness and stretch the back and spine. Start in staff pose, sitting up straight with your legs crossed. Inhale and raise your arms above your head, lengthening your spine. As you exhale, twist from the core to the left, placing your right hand on your left knee and left hand behind you. Inhale and lengthen the spine a bit more, then exhale and twist a little deeper. Stay there for two breaths and then move back to neutral. Repeat on the other side, but spend more time on the side that is showing symptoms of sciatica. If you find sitting cross-legged to be uncomfortable, you can straighten your legs and cross one over the other, twisting in the opposite direction. This stretches and relieves the lower back and buttock on one side of the body at a time. Start by lying on your back, trying to relax your spine as close to the mat as possible. Lengthen the back of your neck and relax your shoulders. On an inhale, draw one knee to your chest, keeping the other leg straight. Take hold of the bent leg around the shin and pull your leg closer towards your chest, resisting with your knee at the same time. Make sure your shoulders remain on your mat. This sequence of two poses not only stretches the back, shoulders and abdomen, but it also warms the body up, which lubricates joints, loosens muscles and makes other stretches easier. Start in tabletop position, placing a blanket underneath your knees if they are sensitive. Make sure your knees are directly under your hips and hip-distance apart, and your hands are directly under your shoulders, shoulder-distance apart. On an inhale, drop your belly towards the ground, arching the back and lifting your tailbone towards the sky. If you feel comfortable and balanced, you can also raise your face towards the ceiling. On an exhale, round your back, dropping your head and tailbone toward the floor. Repeat, moving with your own breath, for at least 10 rounds. This is a relaxing, restorative pose that gently stretches the legs, ankles and hips, while relieving stress and fatigue. It also releases tension in the back and neck, and opens the hips. Start in tabletop position, making sure your wrists are directly under your shoulders and knees underneath your hips. As you exhale, sit back towards your heels, moving your torso between your thighs. Allow your arms to stretch out in front of you and rest your forehead on the mat. You should feel a stretch and release along your spine and between your shoulder blades. Even your buttocks might feel a good stretch if sciatica has caused stiffness in that area. You should try to relax in this pose for a few minutes if you can, allowing your buttocks to move closer and closer to your heels. This pose takes a bit more strength and can feel more difficult than the relaxing and restorative poses we’ve looked at so far. It is a great yoga pose for opening and stretching the hips. Start in mountain pose (standing tall) and then slowly step your right foot back, with the ball of your foot raised and your heel off the ground. Bend your left knee. Keep your right leg straight and make sure you are not overextending your left knee – it should be directly above your ankle. Twisting from your back, place your right elbow outside your left knee, palms together and pressing away from each other. Resist the pressure of your right elbow with your left thigh. Hold for five breaths and then release, repeating on the other side. This is one of the best poses to stretch the thighs and open the hips. 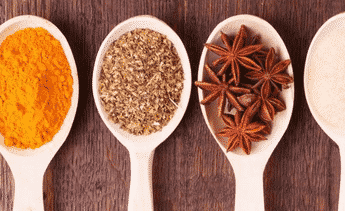 It melts away tension and anxiety, relieves symptoms of sciatica and stimulates abdominal organs, while also improving muscle flexibility around the entire hip area. However, it is a very strong pose, so you want your body to be warm before you practice, and if you are not very flexible or experienced in yoga, work up to it with some other yoga poses. If you are a beginner, have some folded blankets or cushions handy. Start in downward facing dog and gently bring one leg forward in between your hands. Set the outside of your leg down on the mat, with your lower leg crossing in front of your groin and opposite hip. Again, depending on your flexibility, your leg might be on a bit of an angle back towards your groin. As you exhale, start to move your other foot back, straightening the leg behind you and moving your groin and pelvis as close to the mat as possible. This is where you can add the blanket or cushion under the buttock of your bend leg once you feel enough of a stretch. You can remain upright, or move your hands forward and lay your torso over your front leg, forehead on the mat. This is a fantastic restorative pose that relaxes the body, stretches the hips, glutes and out thighs, and releases the back. It’s great for releasing tension in the hips and back. Start on your back and bend your right knee on an inhale. Open your arms out to either site, palms facing down. Gently drop your right knee to the left on an exhale, twisting from the hips and spine. Keep both shoulders on the mat and turn your gaze towards the right. You should feel a fairly deep stretch around your right hip and glute and around your spine. At the same time, your chest should feel open. Stay in this restful pose for at least 10 breaths on each side, and more on the side suffering from sciatica.